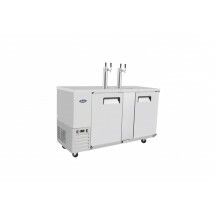 Atosa MKC68 Dual Faucet Tower Keg Cooler, 68"
TigerChef > Browse by Store Type > Bar Supplies > Bar Equipment >< Beer Dispensers > Atosa MKC68 Dual Faucet Tower Keg Cooler, 68"
$1,950.00 Atosa MKC58 Dual Faucet Tower Keg Cooler, 58"
$1,056.00 Atosa MKC23 Dual Faucet Tower Keg Cooler 23"
$2,526.00 Atosa MKC90 Dual Faucet Tower Keg Cooler, 90"
$3,325.99 True TDB-24-48 Two Door Back Bar Cooler with Direct Draw Beer Dispenser, 49"
$3,731.99 True TDB-24-48G-LD Bar Cooler with Direct Draw Beer Dispenser with Two Glass Doors, 49"
The Atosa MKC68 Dual Faucet Tower Keg Cooler, 68" is a great addition to bars, hotels and other food service facilities. 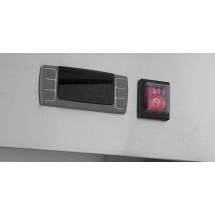 This cooler boasts a professional and functional design that will beautifully complement a variety of settings. 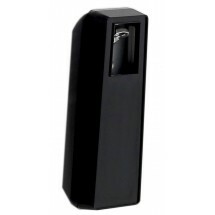 Great for fast-paced establishments, this cooler has automatically closing doors and a built-in bottle opener. 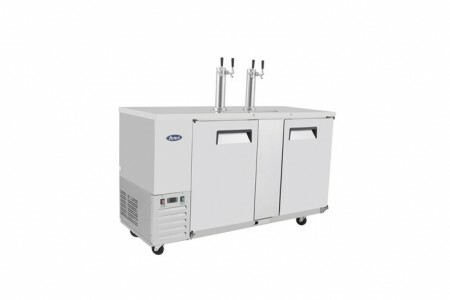 Constructed from stainless steel with a heavy-duty Embraco compressor, this cooler will keep up with the high demands of commercial use. For easy organization, this cooler comes with pre-installed epoxy-coated shelves. 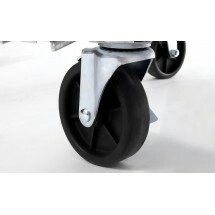 For hassle free maneuverability, this cooler is equipped with swivel casters with bumper and brakes. Dimensions: 68.0" x 28.1" x 42.2"